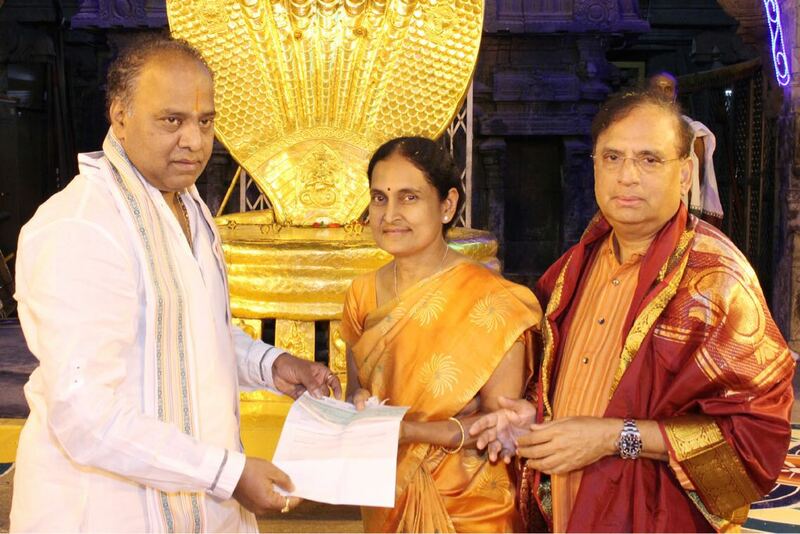 Bangalore based devotee Sri P Murali Krishna has donated Rs 10 lakhs to SV Annaprasadam Trust on Friday. He handed over the DD for the same to TTD JEO KS Sreenivasa Raju inside temple. 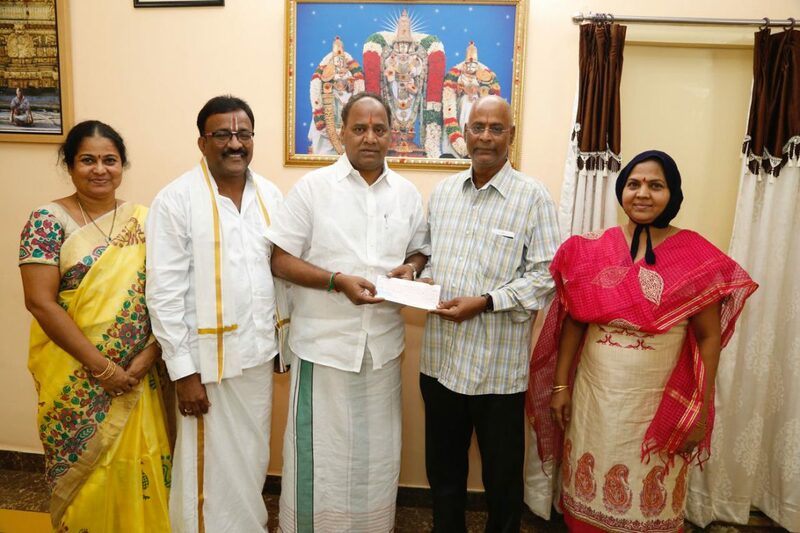 Sri Rasineni Ramanaidu from Visakhapatnam have donated Rs 11,11,111 lakhs towards SV Annaprasadam Trust. They have handed over the DD for the same to TTD JEO KS Srinivasa Raju at SV Rest House in Tirumala on Saturday. A Hyderabad based Lord Venkateswara Swamy devotee Smt Rajya Lakshmi has donated Rs 25 Lakhs towards Annaprasadam Trust. The Donor has handed over the DD for the same to TTD JEO KS Srinivasa Raju at Ranganayula Mandapam on Saturday. 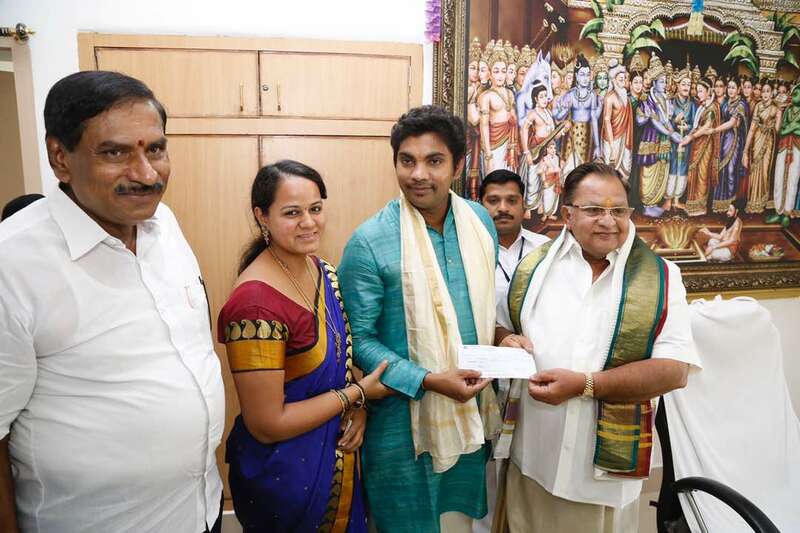 Bangalore based devotees Sri Vinay Babu and Archana donated Rupees 10,00,116 towards SV Annaprasadam Trust of TTD. 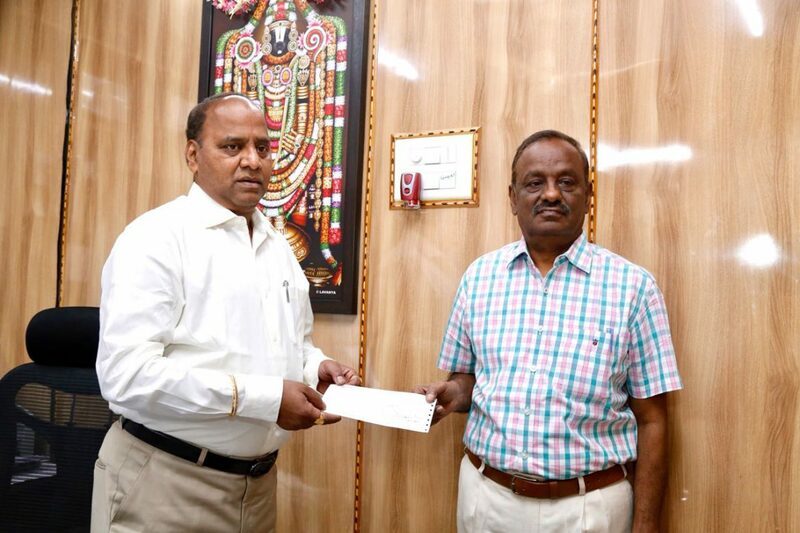 They have handed over the DD to TTD Chairman Dr Ch Krishnamurthy at Madhavam Rest House in Tirumala on Monday evening.